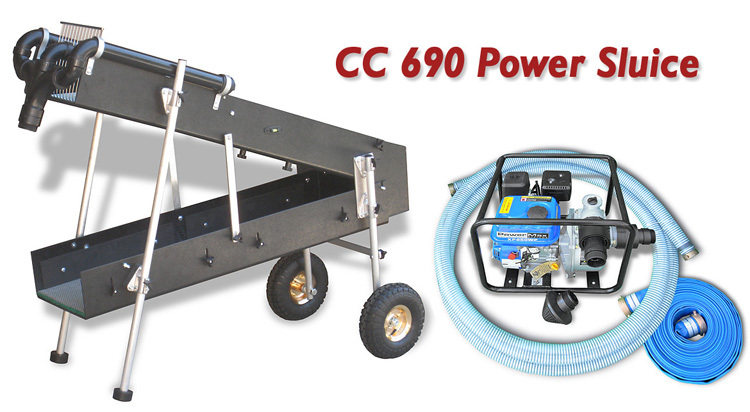 CC 690 Power Sluice Package - FREE SHIPPING! Power Max 6.5 HP, 3 inch gasoline powered pump with two inch hose fitting adapters. Total head lift is 98 feet. Suction head lift is 26 feet. Max output is 220 GPM. Weighs 70 pounds.